The device that the root filesystem is on is not working or took too long to become ready (usually an issue booting from USB or possibly NFS). The bootloader configuration is broken, and the root device passed on the kernel command line is incorrect. The kernel lacks support for one of the features needed to access the root filesystem: one of the necessary drivers is missing. 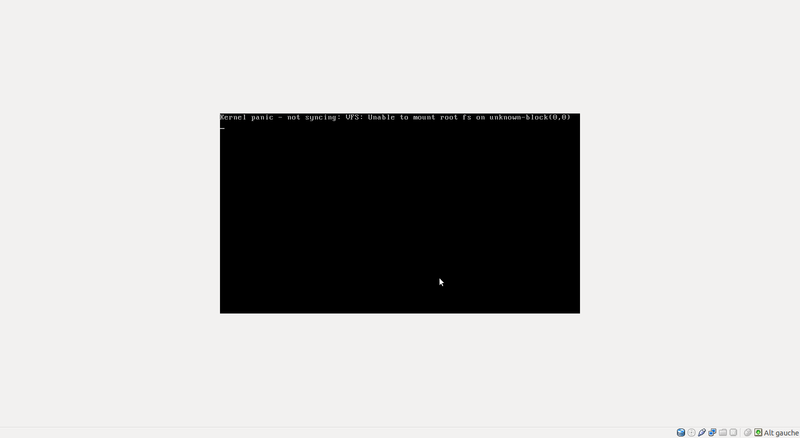 Typically the missing component is the filesystem driver or the block device driver (e.g. SATA chipset); also check that you've included the necessary RAID methods, LVM, encryption, etc. A necessary driver is compiled as a module, but not included in the initramfs or initrd, or you are booting without an initramfs or initrd. If you recompile the kernel and need a module to access the root filesystem, be sure to regenerate the initramfs/initrd. Given that you've just recompiled a kernel, #3 is the most likely explanation. You've missed some necessary driver in your kernel configuration. Check your .config carefully. There's something missing in there. Start with the existing .config that's working now (as you did, going by the commands you posted) and don't remove stuff if you aren't sure that it isn't used. Not the answer you're looking for? 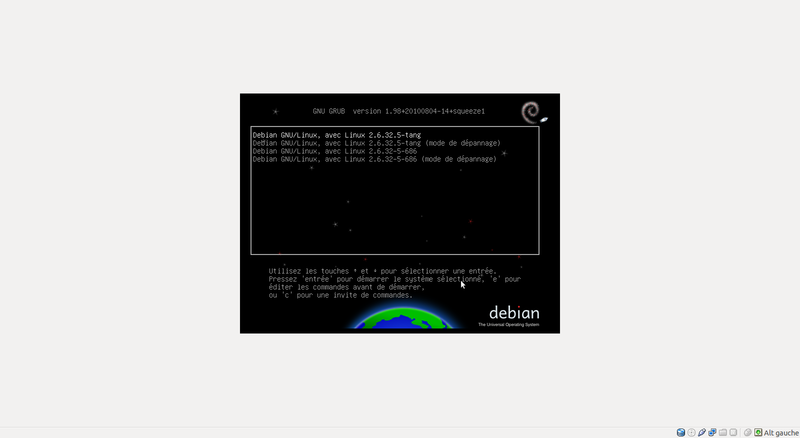 Browse other questions tagged debian kernel virtualbox or ask your own question.